The time to push on and further improve cricket helmet safety has arrived. 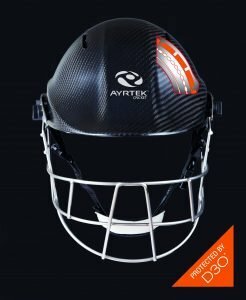 Ayrtek Cricket helmets are widely regarded as the safest on the market although the look of them often divides opinion due to the innovative shaped design. 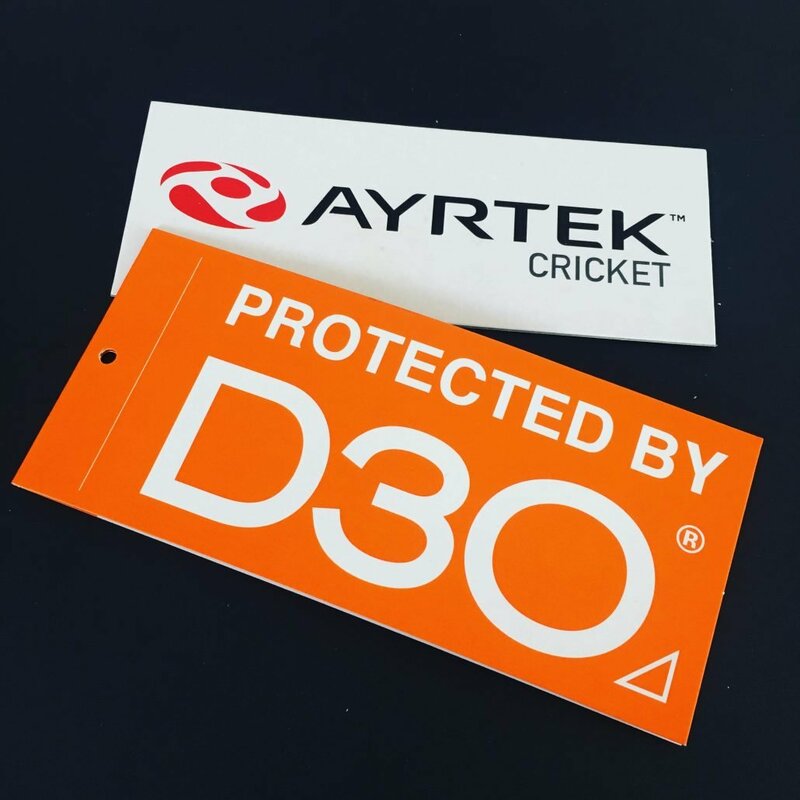 When leading protection specialists D3O said they were looking to get back into the cricket market it was too good an opportunity to pass up. Through a period of extensive lab testing and research we’ve come up with what we know is the optimum product for cranial protection within the cricket sector. The AYR product range will combine air liner technology and a material that offers the thinnest and most advanced protection against knocks and drops. It’s sure to be a winning partnership that I’m excited about bringing to the market. The AYR model helmets feature a unique air liner system that allows the user to pump air into the helet’s liner. By using a pump and release valve the volume of air within the liner can be adjusted to offer a bespoke fit to the wearer of the helmet. This enables one helmet to cover a large range of sizes and we have catered for customers at both end of the size scale in the past. If for instance opting for an AYR model helmet for a junior player they can simply pump less air into the liner as they grow in size avoding the cost of having to buy and replace the helmet with another larger model once they have outgrown the junior version. Extensive research and development has gone into the latest liner material that uses a brushed knapp finish to offer comfort and sweat absorbtion properties to it. 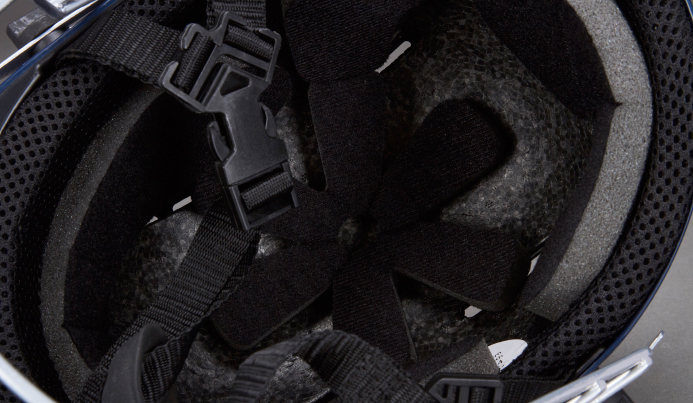 The looped velcro backing means the lienrs can be remvoed from the helmets to dry out on a flat surface and can then be reattached to the shell again ready for use. The interlinked cells mean the helmet moulds to the shape and size of the individuals head to offer a comfortable and snug fit. This means a large size range can be covered by the one helmet which we list as covering a size range of 53-64cm. In addition to the fit the safety offered by the liner has been proven in lab conditions to out perform other more traditional liner types by upto 300%. The combination of air and D3O foams dissipates force meaning the wearer is subjected to a lower level of impact if struck. The latest incarnation of liners uses material we have developed for our military liner with a moisture wicking material and a velcro fixing thats able to be removed to dry and clean it. Using a more traditional EPS (expanded polystyrene) shell to them the PremierTEK helmets utilise the popular material commonly used in the bicycle market due to its lightweight properties. When paired with a rigid outer shell the impact performance qualities of the liner mean that under BSI testing (BS7928:2013) drop test condition the PremierTEK range performs to over 80% better than the test standard stipulates with its 250kn maximum allowance. The TEK liners internal size is adjusted by the addition of foam padding, each helmet comes complete with 3 full sets of padding that can be interchanged to find the most suitable fit for the wearer. The Senior model comes with 6, 9 and 12mm sets whilst the Youth model comes with 12, 15 and 18mm sets.